The UK has slashed its use of coal-fired power in the last year with generation levels falling 40 per cent from last November, and further dramatic falls expected in the coming year. Electricity analysts at Platts Powervision said that coal contributed 5.5 TWh of power generation in November, almost half the 9.26 TWh of coal-fired power seen in November last year. The analysts said the dramatic slump is due to lower weather-led demand this year because of the milder start to winter, as well as surging wind power output of almost 50 per cent more than last year at 2.6 TWh. 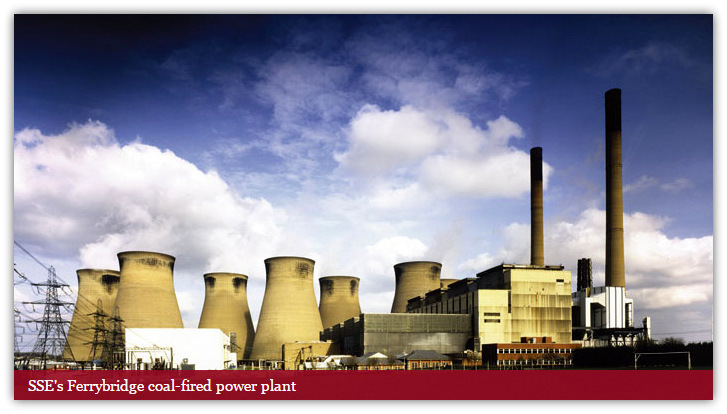 Coal-fired power is expected to continue its retreat from the UK generation mix with a string of closures set for March next year which has raised concerns of even tighter capacity constraints next winter. The UK is set to lose Scottish Power’s 2.3GW Longannet plant, the 1.9GW Eggborough plant, and SSE’s 1GW Ferrybridge and 0.5GW Fiddler’s Ferry assets. And the heavy losses will more than offset the expected roll out of new investment in renewable energy and gas-fired power, analysts at PA Consulting told Utility Week. By early in the next decade very little coal-fired power capacity is expected to remain in operation in the UK, and energy secretary Amber Rudd has put in place plans to ban coal power entirely by 2025. Under the plans, the use of coal plants will be restricted from 2023 and shut by 2025, according to Rudd’s energy policy ‘reset’. “It cannot be satisfactory for an advanced economy like the UK to be relying on polluting, carbon intensive 50-year-old coal-fired power stations. Let me be clear: this is not the future,” Rudd said. Critics have argued that the move risks the UK’s security of supply and energy affordability unless investment in gas-fired power comes forward to fill the gap left by the coal closures. The Powervision report shows that gas-fired power remained steady year-on-year at 7.6 TWh in November, down from 7.8 TWh in October, and just 3 per cent lower than last year.